With HENkaku being released a little under two years ago, the PSVita hacking scene has started to slow down quite a bit but thankfully, there are still things to be excited about! 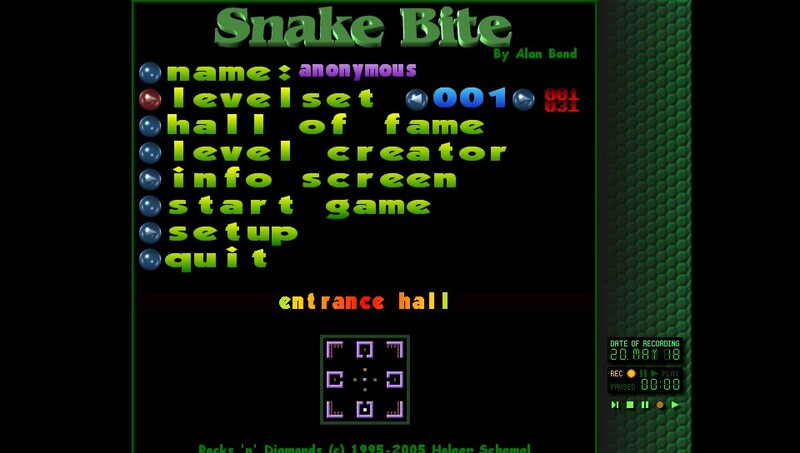 This time around, we have a new homebrew game called Rocks’n’Diamonds, VitaQuake 3.0 and a more specific ETA for TheFlow’s upcoming FW 3.65-3.68 hack! 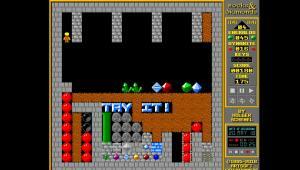 Rocks’n’Diamonds is a 2D puzzle game in which you have to traverse a grid to collect gems. 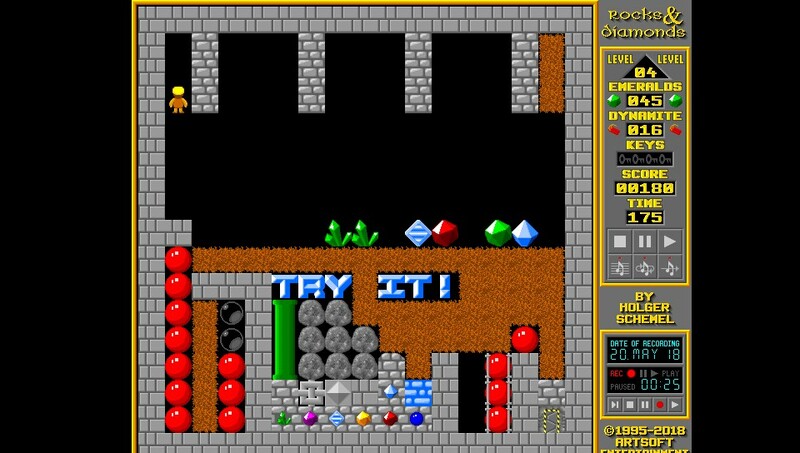 Stuff can get pretty hectic in Rocks’n’Diamonds with harder levels! The gameplay is similar to that found in popular titles such as Boulder Dash, Emerald Mine and Sokoban games in which you have to collect specfic things while not killing yourself, getting trapped or running out of time! 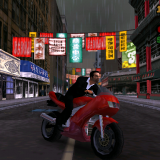 This game was initially released in 1995 for free on a variety of platforms including Linux and MS-DOS by ArtSoft and was developed by Holger Schemel. Our trusty PSVita/PSTV devices got their port from scene veteran rsn8887 and like all his homebrew, this one also works very well. 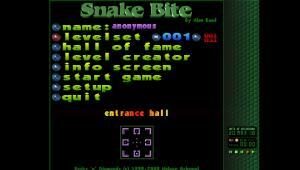 The controls are well defined and the game ran pretty smoothly in the first 3 levels I tried. Rocks’n’Diamonds on the PSVita also lets you install user-made levels so you won’t be replaying levels if you like playing it a lot! With this release, we can say that the PSVita has yet another nice mini-game to play on the go! Furthermore, this game has many levels and a level creator so you won’t get bored of it easily if you like these sorts of games! 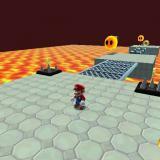 You may also download custom levels made by the community if you follow the link below. 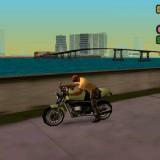 To get this game, simply open VHBB and get it from there since it’s available on VitaDB! Better VitaGL code which makes the renderer run faster and need less memory! Gyroscope sensitivity options have been separated by axis and you can now choose lower resolutions if you prefer them for whatever reason. 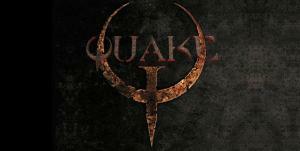 Thanks to VitaQuake, you can get an excellent Quake experience on the go! VitaQuake now has more memory available to it so it may run better and be prone to less crashing in intense scenes or with demanding mods. To get VitaQuake 3.0, start VHBB and get it from there. As always, it’s recommended you grab this update since it just further refines this already great game port! TheFlow says next September or later as his ETA for the upcoming 3.65-3.68 hack! Right now, the thing that most PSVita hackers or hackers-to-be are interested about is TheFlow’s upcoming hack for higher firmwares. 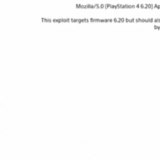 If you’re patiently waiting to hack your PSVita running a firmware higher than 3.60, you’ll be pleased to hear that TheFlow has stated a more specific ETA. TheFlow’s tweet about when your ‘suffering’ may end! In his recent tweet about the subject, he stated that he won’t be releasing it before next September which unfortunately means that you won’t be hacking your currently unhackable PSVita/PSTV next summer. However, this will give you a more specific time frame to look forward to and will hopefully stop people from sending more ETA wen tweets to TheFlow! Remember, this doesn’t mean he’ll release his hack in September 2018 so he may still opt to release it next year. With little doubt, Sony will patch the exploit with a new PSVita firmware update so perhaps having TheFlow release it later rather sooner could actually be beneficial in the long run if you play PSVita games! To get more information about the above, simply follow the links below. If you have any issues with VitaQuake or Rocks’n’Diamonds, report them to their respective authors through the links below. As always, don’t bother TheFlow with ETA tweets as he’s already given enough information about the subject! Is that not meant to say this summer as it stated 2018 Not 2019? Do people proof read it or just post it up? Whether to write ‘this summer’ or ‘next summer’ is a matter of debate as it’s not yet summer. Furthermore, if who is reading the article understands the context, they’ll immediately know what I’m referring to. Yep, but “This summer” is the way to go. You commited a mistake, happens, chill out bro :). When I read “next summer” I immediately thought, oh,not the summer coming up but “next summer ” as in summer next year. How it’s written is very misleading. That’s great, I can play online with my vita until September. Thanks flow! 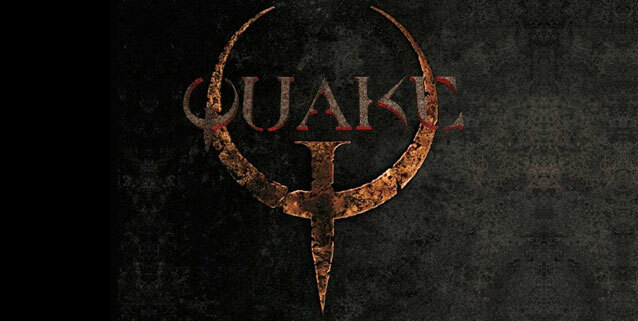 More Quake is always good. Now all we need is Open X-Com and we’re all set ! Buy two of every thing. Sony is the best for a good reason(s). does this 3.65 hack mean, it would allow piracy? So upgrading to 3.68 is safe now? I mean so I can play my PS+ games and later ‘hack’ it for homebrew when the ‘hack’ gets released? Nope, totally a bad idea. Enso was patched in 3.67, so when TheFlow releases the update, you will always have to apply the hack manually everytime you boot up the console. Okay. But if I don’t mind the manual loading then I can update? So just to get this clear for myself. Stay on 3.67 for a long time and have permanent fun later of update now and manually load the hack every boot. Right? But whatever I do, I can enjoy homebrew on 3.68 when the time is there. I have read that you can update to 3.68 if you’re on 3.67 since it doesn’t close the exploit. So it should be fine. Update if you’re on 3.67 as it won’t change anything, it still works on 3.68. You can stay on 3.67 but it will just annoy you once you’re trying to update/ download something. God yes. I can finally purchase a vita in the future without getting gouged by 3.6 pricing. I’ve been waiting so very long. If only the vita were hacked in the early days like the PSP. The Rocks’n’Diamonds is open source. 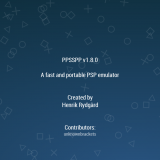 The ‘rsn8887’ compiled for PSVita – why this game doesn’t exist in PS Store eg. for free?